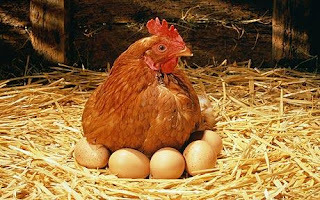 As we added three new chickens to our flock I wanted to share one of the biggest lessons we’ve learned since we started raising chickens. We learned about daily provision. Every day we go out to our coop to check for eggs. Every day we get at least one egg some days many more. One a day or six a day doesn’t seem like a lot, but after a week, it adds up. When I was reading in the book of Psalms, I found so many psalms dealing with how God is enough. We can see His provision clearly when the waters of depression, anxiety, or life seems to drown us. But what about when life is good? Do we still acknowledge His provision? Did you know we can learn life lessons from chickens? In the daily, with our chickens, we’ve found they don’t need much. They need food, water, and some bugs. They don’t go frantic when we’ve not fed them all day. They simply sit on their perch in the coop and roost. They trust us. Before, when they were younger, they would run from all of us, scared and timid. Now, they know us. I don’t try to pick them up or handle them. They also know I feed them. So they will follow us around the yard, whether they need fed or not. God will always prove true to the test of trust. The trust of God is where we find provision. In the daily, communing, walking, and drawing near to God, it is here we find our portion for the day. I’ve decided I need my Bible daily because every day I need to choose to trust God. I know this because no matter my feelings, God shows up when I read His word. How is your Bible reading? Dear Lord , we thank You for Your word. Help us to read our Bible everyday on the good days and the bad days. In the Name of Jesus, Amen.